• With your first page out in 6 seconds, print up to 24 black and white or 15 colour pages in a speedy minute. 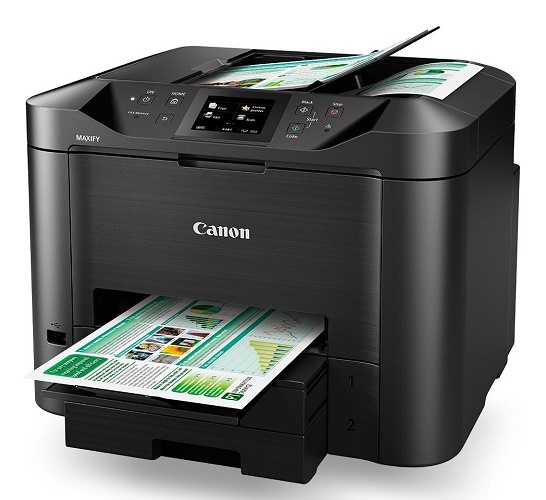 • Your printing will cost as little as 2.3 cents per page when using genuine Canon XL ink tanks. • Print up to 2,500 black and white pages from MAXIFY's high capacity XL ink tanks from two 250 sheet paper trays. 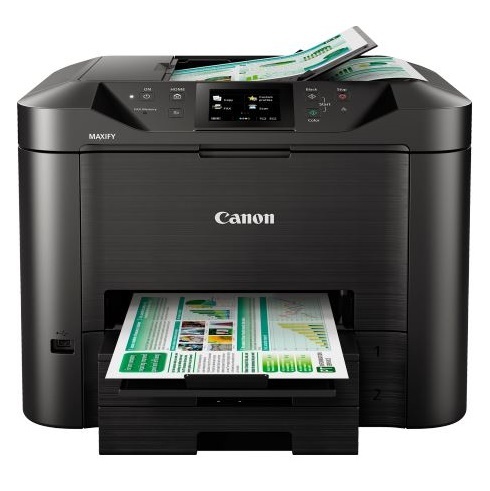 • Print from all your devices even without a router, from the Cloud, plus scan directly to a network folder.